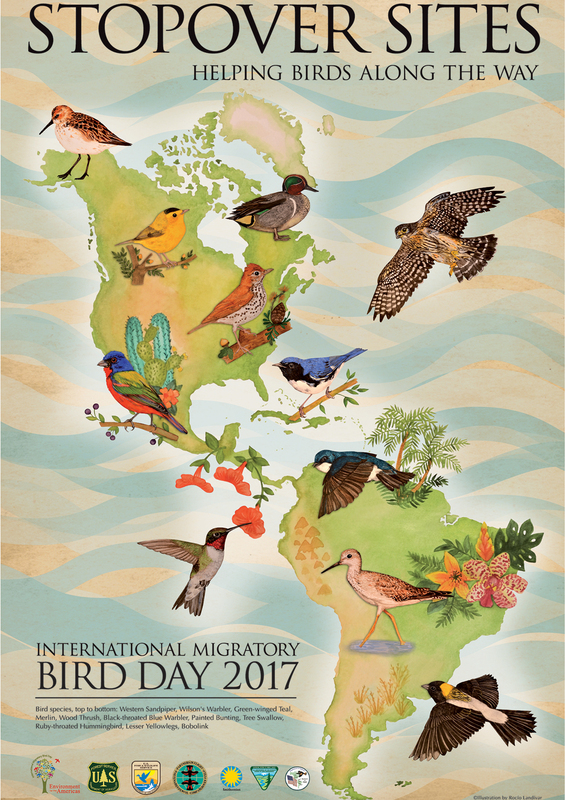 International Migratory Bird Day (IMBD) was created in 1993 by visionaries at the Smithsonian Migratory Bird Center and the Cornell Laboratory of Ornithology. From 1995 to 2006, the program was under the direction of the National Fish and Wildlife Foundation and U.S. Fish and Wildlife Service. Because of its consistent growth, IMBD is now the premier education project of Environment for the Americas. IMBD continues to focus attention on one of the most important and spectacular events in the life of a migratory bird — its journey between its summer and winter homes. 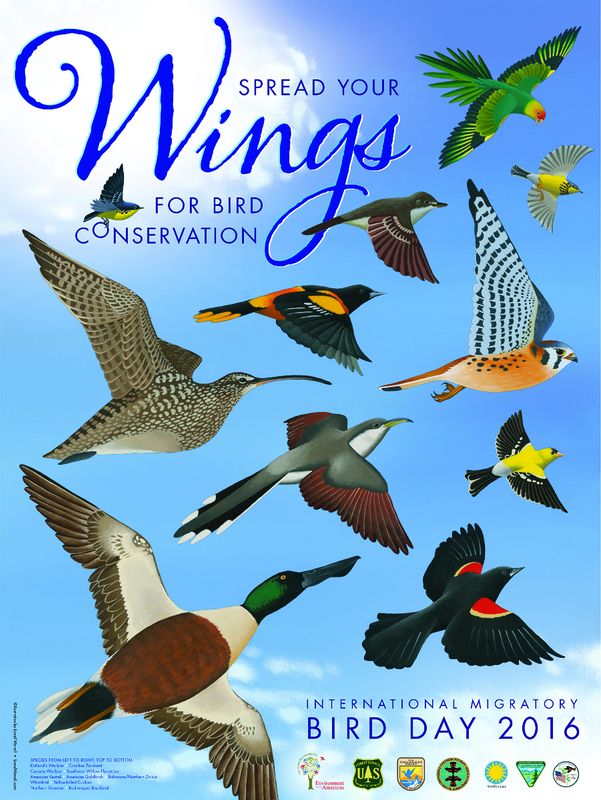 Today, it is celebrated in Canada, the U.S., Mexico and Central America through bird festivals and bird walks, education programs, and Bird Day! We invite you to join us in this important celebration. WMBD officially takes place on the second Saturday in May each year. But we recognize that this date doesn’t work well for all bird event and bird festival organizers, or for the migratory birds themselves. To the south, migratory birds have left, heading for breeding sites to the north. Farther north, the birds haven’t arrived. We remedied this problem by removing the month and day from our bird education and festival materials, leaving only the year, while reminding groups that “everyday is bird day.” Now, WMBD is celebrated almost year-round. Most U.S. and Canada events take place in April and May, while fall events are the norm in the Caribbean and Latin America. 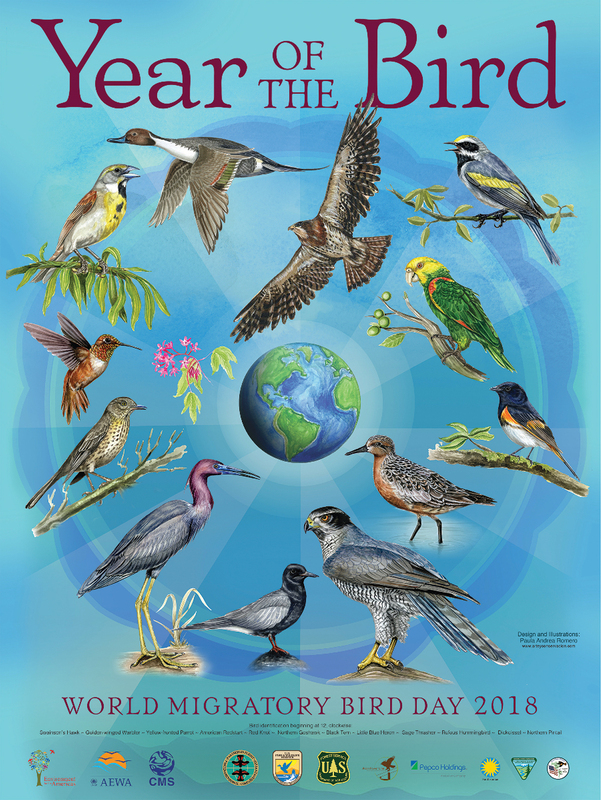 Each year, a team of World Migratory Bird Day coordinators and sponsors work together to select a theme that meets diverse criteria to reach the varied audiences thta celebrate WMBD. 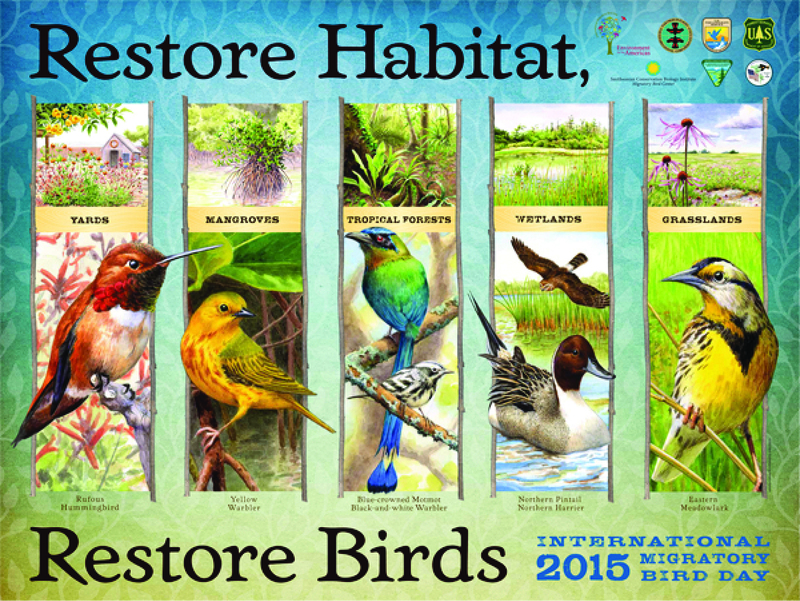 The theme must be conservation-based, current, positive, tangible, educational, and engaging. Once chosen, the theme becomes the focus of education materials and the art that is featured on the annual t-shirt and poster. We encourage you to take advantage of the theme by incorporating it into your programs and festivals. ¿Ha usted sido anfitrió de 10 o más eventos del Día Internacional del Ave Migratoria? Si es así, deseamos reconocer su participación y esfuerzos. Por favor establezca contacto con nosotros en [email protected] y proporcione su nombre, información para establecer contacto con usted y el nombre de su organización.